I'm a seafood lover and caramelized garlic shrimp makes my mouth water. It's a fairly quick and easy recipe that does not require a lot of prep - just 15-20 minutes of marinating time. 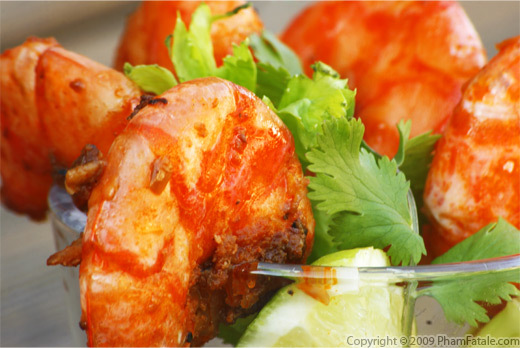 The key to making excellent shrimp dishes is to cook the shrimp for the right amount of time and not a moment more. I got this recipe from my aunt. Remember the one who revealed all her secrets for the perfect phở? She used to run a Vietnamese restaurant in the Bay Area in the 90s. All I can say is... it's worth a try! In a mortar and pestle, finely grind the fleur de sel, sugar, cayenne powder and white peppercorns. Set aside. In a small saucepan, heat up a tablespoon of canola oil. Add the sliced shallot and cook until the oil has a nice fragrance. Remove from the heat. Set aside. Use fresh good looking shrimp. If the product is frozen, it's not necessary to thaw it. Remove and discard the head of the shrimp. Carefully devein the black part of the shrimp using a sharp hook-like pairing knife, make sure the shells and tails are still on though. Rinse the shrimp under cold running tap water. Then pat dry using a paper towel. There should be as little water as possible. Repeat the same procedure for each shrimp. This step is fastidious but essential for a good product. Spread all the shrimp in a large tray. Generously coat the shrimp with 2 teaspoons of garlic. Sprinkle the spices from the mortar and pestle. Add about 2 teaspoons of the shallot-infused oil and mix all the shrimp together. Plastic wrap and let the shrimp marinate for 15-20 minutes in the refrigerator. In a 10-inch diameter non-stick pan, heat the remaining oil over high heat. The oil should sizzling hot, near the smoke point. Add the rest of the minced garlic and let the garlic get slightly golden (don't burn it). Pour the shrimp in all at once and spread the shrimp evenly all over the pan. Each shrimp should be in complete direct contact with the pan for an optimal caramelized product. 1 lb of shrimp should be enough so that no shrimp is on top of another. Keep your stove at the highest temperature. Manually flip each shrimp using chopsticks (or tongs) to prevent the shrimp from burning and to get an even coat of caramelization. Cook for another 3-4 minutes (keep flipping each shrimp). At the end, the pan should be dry and have remnants of shrimp-infused garlic at the bottom and each leg of the shrimp should have caramelized garlic stuck to it. 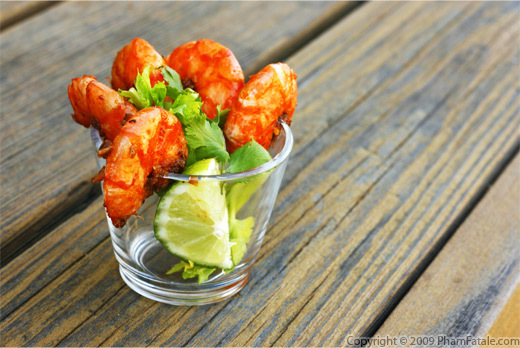 Decorate the shrimp with cilantro, celery, lime wedges and accompany with ginger apricot sauce. Serve immediately. I used tiger shrimp so that they still have a good size even with the head off. 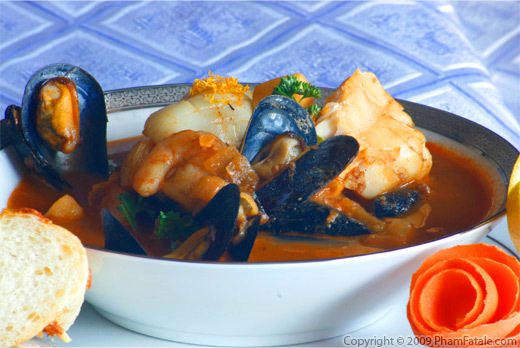 If you want to serve this dish as an appetizer or create a buffet-style dinner, you can serve them as tapas accompanied with a sweet ginger apricot dipping sauce. Easy recipe for a ginger apricot dipping sauce: Combine 2 1/2 tablespoons of apricot jam / preserves, 1 1/2 tablespoons white balsamic vinegar, 1 1/2 tablespoons fruity olive oil, and 2 teaspoons freshly grated ginger in an immersion blender attachment or a mini-prep until the mixture becomes thick and smooth. Add a little water if necessary. Quick note on how to get freshly grated ginger: Clean the ginger root and remove any dirt. Peel the ginger root with a paring knife. Grate the ginger with a fine mesh microplane. 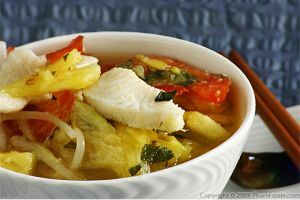 Gather about 2 teaspoons of grated ginger root. Published By: Jacqueline Pham on April 8, 2009. That shrimp looks so good - especially with caramelized garlic! I keep coming back to your site, so it's time to add you to my blogroll! Great food, great pics. Uh. Yeah! My mouth was watering the second I saw those shrimp! What a great recipe. A certain keeper! Thank you for visiting my blog. Thanks for your comments on my site! I smiled at the interplay of words for your blog. You are indeed clever girl! 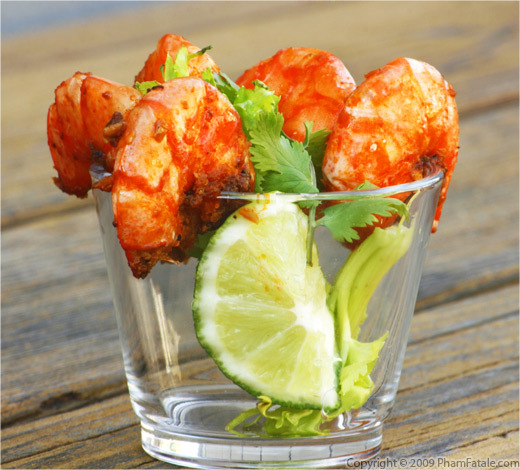 These shrimp look perfect on a warm day. That looks like a totally delicious appetizer for a spring dinner party. It sounds great. This looks delicious! Thanks for stopping by my little blog. Yours is wonderful, I will definitely be coming back! Well! simple yet makes mouthwater. Cheap and easy to buy.